Kisangani /kiːsəŋˈɡɑːni/ (formerly Stanleyville or Stanleystad) is the capital of Tshopo province in the Democratic Republic of the Congo. It is the third largest urbanized city in the country and the largest of the cities that lie in the tropical woodlands of the Congo. Formerly known as Stanleyville in French (or, in Dutch, as Stanleystad (help·info)), the city takes its current name from Boyoma Falls, the seven-arched falls located south of the city, whose name was also initially given to the landscape on which the city is located. Singitini (or Singatini) as rendered in Lingala (Kisangani is from present Swahili), each of which share the same meaning "the City on the Island", in reference to the surrounding tributaries (whose waters separate much of Kisangani from the mainland). It is also known as "Kisangani Boyoma", and the demonym for Kisangani is Boyoman (or Boyomais in French). The languages most spoken at home by the population in the city are Swahili and Lingala, followed by French. The official language of Kisangani is French, as defined by the Constitution of the Democratic Republic of the Congo. Some 1300 mi from the mouth of the Congo River, Kisangani is the farthest navigable point upstream. Kisangani is the nation's most important inland port after Kinshasa, an important commercial hub point for river and land transportation and a major marketing and distribution centre for the north-eastern part of the country. It has been the commercial capital of the northern Congo since the late 19th century. Kisangani has been home to influential politicians, including the national hero, Patrice Emery Lumumba, the first prime minister of the country. The city is also the birthplace of the University of Kisangani graduate, entrepreneur and former governor of former Orientale Province, Jean Bamanisa Saïdi [fr]. Henry Morton Stanley founded Stanley Falls Station in 1883, on the Island of Wana Rusari in the Congo River near the present town of Kisangani. During the mid-19th century the area was inhabited by a native Congolese tribe known as the Clans of Enya, who had used Wagenia Falls (formerly, Stanley Falls) for fishing. The island is located a few meters from the shore site of the present town on the Lualaba River its 7 falls spread over 100 km between Kisangani and Ubundu. Some 1,300 miles from the mouth of the Congo River, Stanley founded the area's first trading post for King Leopold II of Belgium in December 1883. The city was known first as Falls Station (or "the Post Stanley Falls" or "The Falls" or simply "Boyoma" the African name of Boyoma Falls) and then with Belgian colonization of the area, it grew into a settlement called Stanleyville (after the explorer Henry Morton Stanley). A city terminus of steamer navigation on the Congo River, the town began as a Belgian trading post. It has been the major centre of the northern Congo since the late 19th century. Stanley left Mr. Binnie, an engineer and a Scotsman, in charge to trade with the local people and to represent the Congo Free State. The name "Kisangani" was apparently used consistently by the local people, in conjunction with the name "Stanleyville" (as the city was referred to in French and respectively Stanleystad in Dutch). In Swahili the manual published by the Marist Brothers in the 1920s, we find an example of substitution naming "from X to Stanleyville" which is translated "toka X Mpaka Kisangani". The name "Kisangani" is a Swahili rendering of the indigenous Congolese language word Boyoma, meaning "City on the Island", also rendered in Lingala as Singitini (or Singatini) with the same meaning. Soon after the establishment of ties between the Africans and Europeans, East African slavers from Zanzibar, often erroneously called "Arabs" by European writers of the time, reached Stanley Falls. Relations between Free State officials and the slavers were strained and after a fight the station was abandoned in 1887. After the Arab-Euro wars in the Congo, in 1888 the Free State obtained (after negotiations in Zanzibar) an agreement to establish a form of power by appointing Mohammed Bin Alfan Mujreb Tippu Tip, one of the greatest Zanzibar slavers as first governor of the district of "Stanley Falls" stretching from eastern Tanganyika in Ituri through Maniema. Ultimately the Europeans gained complete control of the vast area in central Africa. On 15 July 1898, Stanleyville began serving as the capital of the relatively prosperous District of the Eastern Province Stanley Falls. City status was achieved by incorporation Order No. 12/357 on 6 September 1958, which divided Stanleyville into 4 municipalities: Belgian I, Belgian II, Brussels and Stanley. Towards the end of 1958, the city became the stronghold of Patrice Emery Lumumba, the leader of the political party Mouvement National Congolais (MNC). His strong ties with the city had been forged during his days as one of 350 clerks at the central post office. Ethiopian ONUC troops arrived in the city after July 1960. After the assassination of Lumumba in 1961, Antoine Gizenga installed the Free Republic of the Congo in Stanleyville, that competed with the central government in Leopoldville (now Kinshasa). Before the country gained independence from Belgium in 1960, Kisangani was reputed to have more Rolls-Royces per capita than any other city in the world. In early 1964, the Simba Rebellion ("Simba Revolution") occurred, mushrooming into outright rebellion by May and June. By August rebels had overrun Stanleyville from their bases in Wanie Rukula. They closed the airport and barred civilians from leaving, including at least one foreign consular staff. A number of American and European nationals taken captive, and following intense negotiations Operation Dragon Rouge was launched by Belgium, the Armée Nationale Congolaise (ANC), and a plethora of foreign mercenaries under Colonel Mike Hoare to free the hostages. In 1966 and 1967, Kisangani was the site of the Mercenaries' Mutinies, which led to widespread looting. With the assumption of the "Zairianization" program in the 1970s by Mobutu Sese Seko, Stanleyville was officially renamed Kisangani and Stanley Falls became Boyoma Falls, and as of 27 October 1977 the municipalities were renamed as follows: Belgian I (Mangobo and Tshopo ), Belgian II (Lubunga), Brussels (Kabondo) and Stanley (Makiso). In the 1990s, the area emerged as the theatre for a series of major battles known as the fight of Kisangani during the First Congo War. Laurent-Désiré Kabila, leader of the Alliance of Democratic Forces for the Liberation of Congo invaded the Congo from the eastern region of the country with assistance from Rwanda, Burundi and Uganda military forces. As of 30 October 1998, there were 15,000 Ugandan and 19,000 Rwandan troops on Congolese soil. Laurent Kabila designated Kisangani as the forward base for the foreign forces as he marched westwards towards Kinshasa to overthrow Mobutu Sese Seko. The alliance of foreign military forces disintegrated when people of Hutu descent were massacred by the thousands in western Zaire and because of looting in the mining areas, in particular, Kisangani and the Kivus. The population was completely opposed to the presence of foreign forces because of their behaviour. Laurent-Désiré Kabila could not continue to support the use of Kisangani as the base for foreign fighters as they launched attacks to massacre the Hutu people – hence he demanded that Rwanda pull its forces out of the country. In 1999, the city was the site of the first open fighting between Ugandan and Rwandan forces in the Second Congo War, when nearly 3,000 people died in the cross fire. This followed the fracturing of the anti-government rebel group Rally for Congolese Democracy (RCD) into camps based in Kisangani and Goma. The fighting was also over the gold mines near the town. The local population was caught in the cross fire between Ugandan and Rwandan military forces which led to the destruction of about a quarter of the city. Various buildings were damaged, most notably the roof of the Cathedral Rosaire of Notre-Dame, which was ignited by missiles. Both of the foreign forces were reported to have looted and pillaged the city. Despite the condemnation of Uganda by the International Court of Justice, establishment of responsibilities, realization of compensation, or arrests are yet to be made. Further clashes between Rwandan and Ugandan led to thousands more deaths and widespread destruction from 5 to 10 June 2000. During the Second Congo War, on 14 May 2002, 160 people were massacred in Kisangani which is believed to be the work of those under the command of Laurent Nkunda. By the time a peace agreement was signed in 2002, the town was under the control of the Rwandan-backed Rally for Congolese Democracy - Goma (RCD-Goma). The three encounters between Uganda and Rwanda in Kisangani have been coined the wars of 1 day, 3 days and the deadliest of 6 days in 2000. Kisangani is strategically placed at the junction of the Congo, Tshopo, and Lindi rivers and at the crossroads between eastern and western Congo. Approximately central of the African continent, it is located in North-eastern Democratic Republic of the Congo (DRC), central of Tshopo Province. The location at the northernmost tip of the Congo River, navigable for large waterborne cargo between Kinshasa and Kisangani, which feeds into a naturally transportation waterway for much of the Congo Basin, has helped the city grow in significance as a trading city. Kisangani is at the centre of the Tshopo, and is bordered by the city of Banalia, Democratic Republic of the Congo to the north, Ubundu and Opala territories to the south, Isangi to the west and Bafwasende municipalities to the east. The city of Kisangani lies 324 km from Buta, 572 kilometres (355 mi) of Isiro, 696 kilometres (432 mi) from Bunia and 2,912 kilometres (1,809 mi) from Kinshasa. The Lualaba River flows through a bend to a confluence with the Congo River, at the alteration of the waterways lies the city of Kisangani. Much of Kisangani City is built on the location of land defined in between the river stretches of Tshopo river on its north and by the Congo River on its south. Many tributaries and islands are intertwined conducive to moving inland waterways. Tidal straits actually separate L'Île Mbiye from mainland of Kisangani City. The city is locally referred to as Boyoma after the prominent geographical feature on land, Boyoma Falls. The seven cataracts have a total drop of 61 meters (200 feet). Falls Wagenia where the fishery is installed on the rapids can be seen. The city's land area is estimated at 1910 square kilometres. The City of Kisangani has a density of 229 inhabitants per km2. The city seats in the midst of the vast and isolated Congo Basin, the second largest tropical woodlands on the planet. It is located at 0° 31' north latitude from the equator (57 km), 25° 11' east longitude from the meridian of Greenwich and 1 404.1 feet (428 meters) above sea level. L'Île Mbiye is situated on the Congo River in the Eastern part of Kisangani. It is located upstream of the Wagenia Falls, between latitude 0°31' North and longitude 25°11' East, with 376m of altitude. It adjoins the town of Kisangani, and it is 14 km long and 4 km wide. All around Kisangani, L'Île Mbiye is the only ecosystem that has a dense forest that is relatively well preserved. The Island is part of the Sustainable Forest Management in Africa Symposium project of forest ecosystem conservation conducted by Stellenbosch University. The Island has an area of 1,400 ha, and it comprises three types of forest: dry land forest, periodically flooded forest and swampy forest. Despite being adjacent to the equator, the city has a tropical monsoon climate due to the fact that its driest month (January) sees on average below 60 mm of rain. Kisangani experiences an average relative humidity of 86%. Typical climate in regions through which the Congo River flows is that of Kisangani, a town situated on the river's right and left bank slightly north of the Equator. Humidity is high throughout the year, and annual rainfall amounts to 64 inches (1,620 mm) and occurs fairly regularly; even in the driest month the rainfall totals more than 2 inches (53 mm). Temperatures are also uniformly high throughout the year, and there is little diurnal variability. The average temperature at Kisangani is in the mid-20s°C (mid-70s°F). Kisangani is also a beneficiary of a cool breeze that often blows off the Congo River. Modern, multi-storey buildings of brick emerge from the dense walls of the vast Congo Basin jungle. Multiple kinds and scales of houses, townhouses, condominia, and apartment buildings can be found in Kisangani. The building form most closely associated with Kisangani is of Belgium influence, whose introduction and widespread adoption in colonial times saw Kisangani's buildings shift from the thatch African tradition to the low-scale and vertical rise of European business districts. Kisangani has architecturally significant buildings in a wide range of styles still in their original form. These include the Aumonerie which is distinctive for its facade using visible stone-tone to evoke the building's structure, the impressive 20th century headquarters landmark that is Central Prisons' with its towering fortress walls, Cathédrale Notre-Dame du Rosaire, an early cathedral revival built with massively scaled stone detailing and the Congo Palace on avenue de l'eglise is an important example of highly influential European style buildings in Kisangani. The character of Kisangani's urban residential districts is often defined by the elegant villas with tiled roofs of old Belgian influence, brownstone rowhouses, townhouses, and tenements that were built during a period of rapid expansion from 1908 to 1950. Large swaths of Kisangani's rural residential areas away from the city centre are characterized by continual strings of villages unfolding, each composed of thatched roof tops built from the early 20th century through to the present day. At times the path is filled with a sweet floral fragrance and clouded with white and purple butterflies. Forests give way to patches of grassland, then clumps of bamboo and then more forest. The city of Kisangani is composed of six large communes of which are further subdivided into smaller neighbourhoods. The partitioned communes are Lubunga, Makiso, Kisangani, Tshopo, Kabondo and Mangobo. Throughout the boroughs there are hundreds of distinct neighbourhoods, many with a definable history and character to call their own. All municipalities in the city have a nickname denoting how Boyoma perceive their cities. Therefore, Kisangani, which in Swahili means on the island ("Kisanga" translates island and "ni" is on) is official given the nickname of "City of Hope" by administrative authorities in opposition to the title of martyred city. Boyomas' affectionately nicknamed their city "Boyoma Singa Mwambé", that translates has before reaching the most beautiful city the pole must be thrown 8 times (Boyoma means the most beautiful girl, while Singa is the mast and Mwambé is the number 8). Kisangani commune is commonly referred to as "Tolimo" in Kigenyi, mainly due to the craft of scaffolds installed on Wagenia Falls. Tshopo is Kisangani City's northernmost commune, it features a long beachfront. It is home to a hydroelectric plant and the site of Tshopo River. Makiso is the most densely populated borough and home to many of the city's commercial and financial institutions. The commune contains the headquarters of many major corporations, NGOs, International organisations, the United Nations, as well as a number of important administrative structures of governorship, and many cultural attractions. It is the site of a continuous supply of electricity with some of the most beautiful houses and of the widest boulevards. Makiso is as known as "Miroir". Lubunga is the most suburban commune in character of the Six communes. Ascribed the nickname of "Pays" it supplies Kisangani with most of its agricultural crops. Kabondo is the commune that usually takes lead in annually hosting some of the city's largest parades and public events mainly due to its cultural and social and ethnic diversity, an independent art scene, distinct neighbourhoods and unique architectural heritage. As a result, Kabondo is known as "Pilote". The city is a centre for television productions, radio, theatre, film, multimedia and print publishing. Kisangani's many cultural communities have given it a distinct local culture. The city's waterfront allure and nightlife has attracted residents and tourists alike. As a Central African city, Kisangani shares many cultural characteristics with the rest of the continent. It has a tradition of producing African jazz, nu-rumba, African folk, rumba and ndombolo music. The city has also produced much talent in the fields of visual arts, theatre, music, and dance. Some of its better known popular culture residents include Aberti Masikini, Anne-Sylvie Mouzon, Barly Baruti, Koffi Olomide and Moreno. Yet, being at the African confluence of the South and the North and West and East traditions, Kisangani has developed a unique and distinguished cultural face. Another distinctive characteristic of Kisangani culture life is to be found in the animation of its downtown, particularly during summer, prompted by cultural and social events, particularly festivals. The city's largest festival is the Cercle Boyoma Culture festival, which is the largest in the world of its kind. Other popular festivals include the Kisangani Jazz Festival, Kisangani Film Festival, Nuits d'Afrique and the Kisangani Fireworks Festival. Strongly influenced by the city's immigrants, productions such as those of Barly Baruti and others used song in narratives that often reflected themes of hope and ambition. Artists of all cultural disciplines in Kisangani such as musicians, stage actors, comedians, fashion, cultural operators, draftsmen, folk music, painters, sculptors, and silkscreen meet annually for the seasonal culture shows. Cercle Boyoma Culture is one of such shows where cultural activities of Kisangani come together synergistically for an exchange and reflection involving different associations of all cultural disciplines. Cercle Boyoma Culture is annually held in Makiso on 14 Fina Avenue from the month of December through to June. The culture show displays a digital audio recording studio, a large stage show, 10 booths that host libraries, internet cafes, sewing stations, interactive gaming machines and cafeterias. The cultural space in Kisangani provides multitudes of beauty pageants a platform to exchange experiences, provide mentoring consultation and hosting of training seminars. Miss Boyoma is annually held in December, organised by the cities' authority to determine the most beautiful girl in Kisangani. Elysée of 17 years old is Miss Boyoma 2009. Other live music genres which are part of the city's cultural heritage include Kisangani Blues, Kisangani Soul, African Jazz, soukous and gospel. The city is the birthplace of Congolese legendary musicians Aberti Masikini and Koffi Olomide and is the site of an influential nu-rumba scene. In the 1950s, the city was a center for African Folk, soukous and African jazz. This influence continued into the more developed soukous of the 1960s. The city has been an epicenter for Ndombolo culture since the 1980s. A flourishing independent folk music culture brought forth Kisangani Blues. The city has also been spawning a critically acclaimed underground nu-rumba scene with various bands gaining national attention in the nu-rumba world. Annual festivals feature various acts such as the Cercle Boyoma Culture Festival. Kisangani is also the home-town of film-maker Dieudo Hamadi. Shopping along the avenue de l'Eglise, its many restaurants, as well as Kisangani's eminent architecture, continue to draw tourists. The city is the DRC's third-largest convention destination. Most conventions are held at Stade Lumumba, just north of Stade du Marche. The historic City Hall also now houses the city's Visitor Information Center, galleries and exhibit halls. The Alliance Franco-Congolese (AFRACO) building which hosts governmental conference. The variety of attractions in Kisangani include botanical gardens, museums, factories, zoos, exhibition halls, elevators, retail stores, breweries, warehouses, libraries, mills, auditoriums and refineries which today provide a legacy of historic and architectural interest, especially in the downtown area. Rosaire of Notre-Dame Cathedral, Central Market and the impressive 19th century headquarters of all major Kisangani banks on 1st Avenue . Kisangani holds a campus of the National University of the Congo, which includes the renowned Medicine Faculty, made infamous by the Polio virus conspiracy. Kisangani also maintains the city's focal library at University of Kisangani. The city holds an extensive collection of ancient Congolese and near East African archaeological artifacts, at its regional archaeological and ethnological, the National Museum of Kisangani. Former Hôtel des Chutes, Kisangani. Now an empty shell. Other landmarks include: L'Hôtel des chutes, Le Voyageur, Hellénique ainsi que Psistaria, l'Hôtel Congo Palace, l'Hôtel Boyoma, l'Hôtel Kisanganian and L'Hôtel Palm Beach. Place de la Femme which was completed in 1934 as a dedication to Boyomaise women, the landmark One of the most revered religious leaders Reverend Father Gabriel Grison was buried at the Mission St. Gabriel in Kisangani and has monument dedicated to him on Monseigneur Grison Avenue. Mobutus' residential home on route de Lubutu, Place des Martyrs that held the Lumumba Square until 1967, the controversial Central Public Fountain that anchors the downtown park was installed by the distraction of the popular monument of Stanley and its surrounding structures are but a few notable examples of 20th-century architecture. On the right bank of the Tshopo River, the Kisangani Zoo attracts many visitors, as well as the Kisangani Hydroelectric Dam that supplies electricity to the city of Kisangani. At spectacular waterfall of Wagenia Falls, fishing with the old age tradition tools installed on the rapids can be witnessed. Fishing is practiced through a scaffold installed among rocks, with vines attached and serving through the tensioning creels of woven conical vines immersed in the current of the river. A Major destination include the forest ecosystem of L'Île Mbiye, with is a part of protection conservation forest program called Sustainable Forest Management in Africa as spearheaded by Stellenbosch University. L'Île Mbiye is an ecosystem with a well preserved dense forest. The Island has an area of 1,400 ha, and it comprises three types of forest: dry land forest, periodically flooded forest and swampy forest. The Island is situated on the Congo River in the eastern part of Kisangani. It is located upstream of the Wagenia Falls, between latitude 0°31' North and longitude 25°11' East, with 376 m of altitude. It adjoins the town of Kisangani, and it is 14 km long and 4 km wide. Kisangani lays claim to a large number of regional specialties, all of which reflect the city's ethnic and working class roots. Included among these is its nationally renowned deep-dish Manioc. Kisangani's food culture, influenced by the city's immigrants and large number of dining patrons, is diverse. Eastern Africa and Indian immigrants have made the city famous for their traditional foods. Some of the mobile food vendors licensed by the city have made foods such as husking paddy standbys of contemporary Kisangani street food, although kosa kosa and Kisangani coffee are still the main street fare. The city is also home to many of the finest prawn cuisine restaurants in the Democratic Republic of the Congo (DRC). The Riviera, La Vanille and Rwenzori constitute some of the city's principal restaurants. Kisangani is served by a variety of media outlets, including several Swahili, Lingala and French language television stations, newspapers, radio stations, and magazines. There are four over-the-air Swahili and Lingala-language television stations and they also air multicultural programming. There are also five over-the-air French-language television stations, including: Radio Télévision Nationale Congolaise (RTNC), Télé Boyoma and Radio Télévision Amani (RTA). Kisangani has four daily newspapers, in Swahili and Lingala language Kisangani Gazette and the French-language Mungongo, La Tshopo, Le Thermomètre, Agence de Presse Congolaise and Kisangani. There are also two free French dailies, Nationaliste and Kisanga. Kisangani also has numerous weekly tabloids and community newspapers serving various neighbourhoods and schools. Mungongo is produced by young journalists of Université de Kisangani at the Faculty of Arts, with supervision of the news agency Syfia Great Lakes. There are 11 AM and 23 FM radio stations in Kisangani. Of these13 broadcast in French, 16 broadcast in multiple languages and three stations are bilingual. The major Kisangani station networks include: Radio-Télévision Numérique Boyoma(RTNB), OPED FM and Radio Okapi. All three networks broadcast in Lingala, French and Swahili. OPED FM specializes in environmental issues and is headquartered in Kisangani. OPED is acronym for l'Organisation pour la Protection de l'Environnement et le Développement. OPED FM broadcasts can be heard in Germany through radio Deutsche Welle. RTNB has niche prioritizes business coverage of financial markets. The station works in partnership with Radio Télévision Belge Francophone (RTBF) and Radio Africa n°1. Programs of the two stations regularly broadcast in Kisangani. Kisangani is a filming-friendly location. Since the 1920s, many motion pictures have been filmed in the city, most notably The Nun's Story. Sports of all kinds play an important part in many Boyomai's lives. The city of Kisangani is home to several stadiums with the 3 main stadiums being Stade Lumumba, Stade du Marche and the Stade of Athenee Royal. The city is represented in Nationwide Football League Linafoot by TS Malekesa, RC Etoile d' and AS NIKA in the 2009/2010 season. They both play their home games at a soccer-specific stadium called Stade Lumumba. Kisangani is also represented in Province Oriental Provincial League by, CS Makiso, Sotexki SC, RC Stella, AS Kisangani, RC Boyoma, Echo Sport, CS Monami, FC Procure, AS Vita Boyoma and AS Pars. They draw packed crowds at the small but picturesque Stade of Athenee Royal for their regular-season games. The current president of the Kisangani Football Association the Entente Urbaine of Football in Kisangani (EUFKIS) is Anaclet Kanangila who succeeded to the post left by Robert Kabemba. Sunset over the Congo river. Kisangani's economy is the one largest of cities in the Congo Basin and is the largest in the former Orientale province. It's an intricate hub of business and commerce and is one of three "command centers" for the Congolese economy (along with Kinshasa and Lubumbashi). Before the country gained independence from Belgium in 1960, Kisangani was reputed to have more Rolls-Royces per capita than any other city in the world. It flourished because of the many Boyoman who prospered during a boom in coffee, cotton and rubber production late in the colonial era, when those commodities still fetched high prices. Strategically positioned and central on a geographical map of the continent of Africa, at the confluence of the Lualaba River and Congo River, Kisangani is the inception and terminus point of river traffic between east and west of DR Congo, playing a major economic role in the '5 Chantiers' economic recovery and redevelopment of the Democratic Republic of the Congo (DRC). The city is today an important centre of commerce, finance, industry, metallurgy, panning, real estate, hydro industries, agriculture, breweries, technology, culture, media, and arts. One of Africa's great trading centres; Kisangani's strengths in its transportation system have contributed to the development of the city. SOTEXKI, the Textile Society of Kisangani produces fabrics and manufactures clothing, while Bralima produces beverages, REGIDESO treats and supplies water to the population, SORGERIE (Société de Gestion, de Gérance et d'Investissement), produces soaps, vegetable oils and other cosmetic products. Compagnie Forestière de Transformation (CFT) is the firm that process and exports African teak. Pharmaceuticals, printed material, food processing, telecommunications, textile and clothing manufacturing, tobacco and transportation, also play major roles in the city's economy. The service sector is strong and includes civil, mechanical and process engineering, finance, higher education, and also research and development. The forest Island of Mbiye is one of the natural ecosystems in Kisangani that play a leading economic role with regard to the supply of food, medicines and building material, in which is of critical importance to the survival of plant life, wildlife and human populations. Realising the importance of the biosphere and preservation of the forests biodiversity: "Forty million Congolese depend in one way or another for their survival on the Congo forest" says Stephan Van Praet of Greenpeace, who coordinated the research for the report, entitled Carving up the Congo. "I can assure you they know the value of their forests. If you cut the sapele trees you take away the caterpillars they rely on as a source of protein." L'Île Mbiye in Kisangani is part of the Sustainable Forest Management in Africa Symposium project of forest ecosystem conservation conducted by Stellenbosch University. Democratic Republic of the Congo (DRC) is also looking to expand the area of forest under protection, for which it hopes to secure compensation through emerging markets for forest carbon. The Port of Piroguiers is the largest inland port in the DRC, after the nation's capital Kinshasa, handling million tonnes of cargo annually. As one of the most important ports in DRC, it remains a trans-shipment point link Kinshasa to the North-Eastern provinces for grain, sugar, petroleum products, machinery, and consumer goods. For this reason, Kisangani is a railway hub of DRC and has always been an extremely important rail city; it is home to the headquarters of Société Nationale des Chemins de Fer du Congo. Since the resumption of road traffic between Kisangani and its eastern cities, the markets of the city are regularly supplied and export food from and to Beni, Bunia and Butembo. The city's television and film industry is among the largest in the country. Creative industries such as new media, advertising, fashion, design and architecture account for a growing share of employment, with Kisangani City possessing a strong competitive advantage in these industries. Other important sectors include medical research and technology, non-profit institutions, and universities. Kisangani's informal sector is highly developed. Its composed of handicrafts, local brick manufactures, merchants close to the banks of the river that sell a variety of edible products (like prawns, kosa kosa and caterpillars), others engage in artisanal quarrying, ceramics, coffee growing, Jeweller dealing, producing cultural artifacts, precious metals goldsmithing or subsistence farming. Manufacturing accounts for a large share of employment. Garments, chemicals, metal products, processed foods, and furniture are some of the principal products. Most of the food products derived from rural areas whose main activities are agriculture and livestock include kosa kosa and prawns, which are exported to all major cities of the DRC. The Wagenia, whom mostly fish the rapids of the famous Wagenia Falls on the Congo River are known for the possession of excellent fishing skills. The food-processing industry is a stable major manufacturing sector in the city. Chocolate is Kisangani's leading specialty-food export, with imports of cocoa from nearby Kabinda District. During the holidays, the young people enjoy the school holidays by engaging in part-time jobs, learning earlier on how to earn money and gaining family budgetary skills, thus adding to the family income. The children are likely to open up small vending businesses, of which the services offered may include selling boiled eggs, cooking oil or operating shoeshine stores, to name a few. Many parents believe that part-time work helps children to become more independent as well as providing them (and sometimes their families) with some extra income. During its first century, Kisangani grew at a rate that ranked among the fastest growing in the Belgian Congo. Within the span of forty years, the city's population grew from slightly under 15,018 to over 121,765 by 1958. By the close of the 20th century, Kisangani was the third largest city in Zaire, and the largest of the cities that existed in the former Orientale province. Within thirty-three years of Zairieanastion, the population had tripled to over 600,000, and reached its highest ever-recorded population of 672,739 for the 2003 census. The population is ethnically diverse and is changing rapidly, especially in large cities such as Kisangani, so it is not always easy to get an exact picture of the ethnic origin of all the population from census statistics. The last census in 2003 counted almost 672 739 inhabitants in the city of Kisangani. Lubunga is the town's most populous but least dense with 115 775 inhabitants while Mangobo with 98 434 inhabitants is the most dense. Kisangani is the most populous city of the Northern provinces in the DRC, with an estimated 2008 population of 1,200,000 (up from 406,249 thousand in 1993).This amounts to about more than half the population of the northern regional population lives in the province of Tshopo. Over the last decade the city's population has been increasing. In 1905, there were a total of eleven stations and stations of the state in the area of Stanley Falls and Stanleyville. The total number of state officials increased to 40. In 1909, the European Stanleyville numbered 80 and the native population was estimated at 15,000 people within a radius of 5 kilometers. At the time the sprawling population in 1918 required the District Commissioner to create a daily food market in Kisangani, near the Hospital Avenue, 1 kilometre from shore. Two more weekly markets were also created on the other side, one near the docks and another at CFL Mission St. Gabriel. The population in the 1920s increased to 4,000 Africans and 200 Europeans, with an average of 2000 inhabitants moving around downtown Stanleyville (in the chiefdom Arabized). The population of Stanleyville, in the early 1950s stood at 40,000 and by the late 1950s the population reached 70,000. Kisangani is exceptionally diverse. Throughout its history the city has been a major melting pot of entry for immigrants. Today, some of the city's population has foreign ancestry and among Congolese cities, this proportion is exceeded only by Kinshasa and Lubumbashi. In Kisangani no single community or region of origin dominates. Some of the many African ethnic groups in Kisangani are: Bamanga, Popoi, Boa, Lokele, Turumbu, Mbole, Kumu, Wagenia, Rega, Topoke, Lokele, Turumbu, Basoko, Lendu, Budu, Bangetu, Logo, Alur, Hema, Azande and Yira ethnic group also have a notable presence. Non-African ethnic groups include many Flemish of Belgian origin. There are also small groups of Greeks, Chinese, Walloons, Indians and, lately, Arab Lebanese. In the north of the city of the Tshopo Commune, reside the Bamanga, Popoi, Boa that emigrated all the way from Buta. To the south of the city live the Arabized population groups of the Lokele, Turumbu, Mbole, Kumu, Wagenia and Rega, in the Lubunga Commune. Some arrived from the province of Maniema by the way of Ubundu road and rail, as well as the Opala road and the river toward the neighbouring territory of Isangi. Towards the west in the Commune of Mangobo, lie the Topoke, Lokele, Turumbu and Basoko, whom emigrated through the Congo River and Tshopo River, which divides the city into two banks of Tshopo. To the east of the city in the commune of Kabondo, is home to the Lendu, Budu, Bangetu, Logo, Alur, Hema, Nande, Yira, whom arrived Kisangani the Ituri road in Bunia. The main languages used in Kisangani are Lingala and Swahili. French is also widely spoken since it is the official language of the DR Congo (DRC). Kisangani's large multi-ethnic population as resulted in a wide variety of faiths are practiced. Various Christian denominations, such as diverse Orthodox, Catholic, Methodists, Greek Orthodox and Baptists churches, are found throughout the area along with adherents of Judaism, Islam, Kimbanguism, Hinduism, Traditional Religions and others. Historically Kisangani has been a centre of Catholicism in Central Africa with its numerous seminaries and churches, including the Cathédrale Notre-Dame du Rosaire. Most of the total population is Christian, largely Roman Catholic primarily due to Roman Catholic mission which commenced on 21 September 1897 in Kisangani. 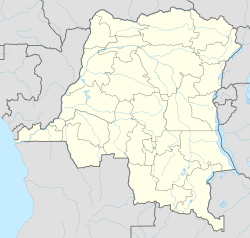 The Northern Provinces of the Democratic Republic of the Congo is overwhelmingly Roman Catholic; Roman Catholic Archdiocese of Kisangani (Latin: Kisanganien(sis)) is the Metropolitan See for the Ecclesiastical province of Kisangani in the Democratic Republic of the Congo (DRC) . Kisangani Suffragan Sees include the areas of Bondo, Bunia, Buta, Doruma – Dungu, Isangi, Isiro – Niangara, Mahagi – Nioka and Wamba. Marcel Utembi Tapa is the current Archbishop of Kisangani, since 28 November 2008. Due to the percentile of non-European cultures, there is a diversity of non-Christian religions. Islam may be the largest non-Christian group, There are small communities of Jews and Hindus who work in commercial urban areas. The Roman Catholic mission commenced on 21 September 1897. Prefecture Apostolic was established on 3 August 1904. By the division of the Vicariate Apostolic of the Congo, the Church of Kisangani became Vicariate Apostolic of Stanley Falls has of 12 March 1908. It then became the Archdiocese of Stanleyville on 10 November 1959 and was later renamed to the Archdiocese of Kisangani on 30 May 1966. One of the most revered religious leaders is Reverend Father Gabriel Grison, Bishop Grison is buried at the Mission St. Gabriel in Kisangani and a monument dedicated to him on Monseigneur Grison Avenue. The territory of Archdiocese of Kisangani has been divided several times: 11 August 1913, by selling Irumu the Apostolic Vicariate of Lake Albert, 9 April 1934 by the detachment of the Mission now the Diocese of Butembo-Beni, 10 March 1949 by the detachment of the Apostolic Vicariate of Wamba, 23 April 1956 through the sale of several missions to the Vicariate Apostolic of Kindu. The Archdiocese in the Eastern Province, Kisangani also includes a part of the territories of Bafwasende, Banalia, Basoko, Opala, Ubundu and Tshopo; in the region of North Kivu and parts of the territory of Lubutu. The Archdiocese of Kisangani commands an area of 150,123 km2, a population numbering 988,854, in which 552,526 are Catholics and 18,000 Catechumens. During independence of the Democratic Republic of the Congo, the city was the political central base of the Mouvement National Congolais (MNC). Patrice Lumumbas' strong ties with the city had been forged during his days as one of 350 clerks at the central post office. Kisangani is now home to influential political youth groups such as Bana Etats-Unis and Vendome. Since its devolution in 2006, Kisangani has been the Capital of Tshopo with a "strong" mayor-council form of government. Decentralisation of central government power was enabled to give provincial governments more control of matters that directly affect them. The government of Kisangani is more centralized than that of most other DRC cities. As a constitutional democracy, Kisangani is governed by a wide range of institutions: the judiciary, the police, the civil service and the institutions of local government. In Kisangani, the central government is responsible for public education, correctional institutions, libraries, public safety, recreational facilities, sanitation, water supply and welfare services. The People's Party for Reconstruction and Democracy (PPRD) holds the majority of public offices. As of November 2006, most of registered voters in the city are PPRD. Kisangani is the capital of the Tshopo Province. Kisangani was given the official nickname "City of Hope" by its government. Kisangani, a city home to some 1,200,000 civilians, is administratively divided into six urban communes: Makiso, Tshopo, Mangobo, Kabondo, Kisangani, and Lubunga and the communities of Lubuya and Bera are also parts of Kisangani City. Each commune is home to dozens of smaller neighborhoods (known in French as quartiers). The head of the city government in Kisangani is the mayor, who is first among equals in the City Council. The mayor in the period of 2008–2009 was Guy Shilton Baendo. The city council is a democratically elected institution and is the final decision-making authority in the city, although much power is centralized in the executive committee. The Council has jurisdiction over many matters, including public security, agreements with other governments, subsidy programs, the environment, urban planning, and a three-year capital expenditure program. The City Council is also required to supervise, standardize or approve certain decisions made by the commune councils. Reporting directly to the City Council, the executive committee exercises decision-making powers similar to that of the cabinet in a parliamentary system and is responsible for preparing various documents including budgets and by-laws, submitted to the City Council for approval. The decision-making powers of the executive committee cover, in particular, the awarding of contracts or grants, the management of human and financial resources, supplies and buildings. It may also be assigned further powers by the City Council. During much of the last half of the 20th century, Kisangani's politics were dominated by a growing Mouvement National Congolais (MNC) organization dominated by the charismatic Patrice Lumumba. During 1964 Kisangani was under siege of the Simbas, a group of powerful radical tradition with large and highly organized socialist, anarchist and labor organizations. Indeed, a decree of Governor General dated 6 September 1958 and entered into force on 1 January 1959 established the city of Stanleyville. The city was divided into communes; each headed by a Mayor, the chief head of all of Stanleyville City was the city's first Mayor. The first consultation was held in commune of Stanleyville on Sunday, 14 December 1958. By Order No. 12/35 of 6 September 1958, the territory of Stanleyville took the status of a city. Stanleyville was divided into 4 municipalities: Belgian I, Belgian II, Brussels and Stanley. Stanleyville's City Council assisted each mayor in running the whole city, whilst each of the municipalities was assisted by Municipal Councils. The mayors of municipalities and municipal council members were elected. The city council included members of law, the mayors of municipalities, members appointed has company representatives, middle class representative and members representing the municipal councils. Kisangani and its administrative representatives formed a prominent group responsible for drafting of the Congolese Forestry Code. The new forestry code according to section 89 requires logging companies, to draw up social responsibility contracts with their concessions, which may include building schools, housing and clinics while they carry out logging operations. Essentially the law demands firms to set up company towns. Greenpeace has however attacked this corporate-centred model, because it undermines the state's responsibility to create a functioning system of social services. The law states that the schooling age is from 5 to 19 years old, which comprises 39% of Kisangani's population. The working age begins at 20 years and retirement age is set at 69 years old of which is 41.42% of the city's demography. Since the 1950s, Kisangani has been a Congolese center of higher education and research with several universities that are in the city proper or in the immediate environs. Kisangani has the third largest campus of the National University of Congo. Much of the scientific research in the city is done in medicine and the life sciences. The Medicine Faculty at the Université de Kisangani was made infamous by Polio Vaccine conspiracy theorists. In 2007, there were 381 academic and research staff, most of them (215) active in the humanities and social sciences – but the recent history of the institution overshadows its current realities. Currently, the university's income is derived from student fees (49 percent) and government subsidies (51 percent), but university management reports that the current income level is insufficient for effective operation. In addition, there is a serious need for infrastructure rehabilitation and additions, as well as for the acquisition of research literature. Although the university does not have a strategic plan to develop additional income sources, it is taking steps to increase academic fees to improve the daily operation of the institution. The main challenges facing the university include serious weaknesses in the university's information and communication technology (ICT) capabilities; and then the lack of qualified staff, of financial means, of premises and equipment, and of literature and laboratories. Clearly, the university's physical infrastructure has not been rebuilt since the troubles. This is one reason why only 20% of the institutional focus of the Université de Kisangani is reckoned for research. Kisangani is the seat of the Université de Kisangani (1963), Université Mariste du Congo, Institut Superieur du Commerce (ISC), Institut Superieur Pedagogique and Institut de Batiment et de Travaux Publiques, and the Kisangani Hellenic Center. The Kisangani Public Library, which has the largest collection of any public library system in the Kisangani, serves Makiso, Tshopo, Mangobo, Kabondo, Kisangani, Lubunga, Lubuya and Bera. The city's public school system is managed by the Kisangani Department of Education. The primary and secondary schools are public and privately run by secular and religious groups in the city. Kisangani grew in importance as a trading port while under Belgium rule. After the upper Congo basin wars of Euro-Arab in the 1880s the city became the Belgian military and political base of operations in Northern Congo. In the mid-20th century, the city was transformed by immigration and development. A visionary development proposal expanded the city street grid to encompass all of Boyoma, and the 1819 opening of a railroad built to bypass the cataracts on the Congo River, opened shipping routes further into the Congo jungle. Kisangani became the most populous urbanized area and the undisputed economic and cultural centre of Northern Congo. The transportation system in Kisangani is extensive and complex. It includes the longest suspension bridge in Northern Congo. Public local transport is served by a network of buses, commuter trains and waterways that extend across and off the island. Unlike many major cities, Kisangani does not have a problem with vehicular traffic congestion. Kisangani's high rate of public transit use, daily Toleka users and many pedestrian commuters makes it the most energy-efficient major city in the Democratic Republic of the Congo (DRC). Walk and tolek modes of travel account for high percentage of all modes for trips in the city. The Tolek is a cycling taxi ("Toleka" means "Time" in Lingala), that emerged as the primary means of transportation around Kisangani during the mid-1990s. As the city lies between stretches of the Tshopo and Congo Rivers, many tributaries and islands are intertwined conducive to moving inland waterways for the population of Kisangani and the transportation of goods by ships, boats or canoe (paddle or motorized), from one bank to another and from one neighbourhood to another is made possible. Waterway systems connect Kisangani to various locales within and outside the city (including Isangi and Lomami). Kisangani is the highest navigable point on the River Congo and the terminus of river traffic from Kinshasa and all ports operated by ONATRA. Shipping beyond Kisangani is impossible due to the Boyoma Falls; a portage railway was therefore built to Ubundu. It is operated by Societe Nationale des Chemins de Fer du Congo, starting from Kisangani Station. This is considered the first section of the Great Lakes line. Kisangani is served by Bangoka International Airport on the far east side and the older Simi-Simi Airport on the west side. Bangoka is for commercial passenger flights and cargo only, whereas Simi-Simi mainly serves military purposes, though it also hosts some private and humanitarian flights. In October 2007 a railway was proposed to connect Kisangani to Kasese in western Uganda. This railway would extend as 1,435 mm (4 ft 8 1⁄2 in) gauge to the Kenyan port of Lamu. The transcontinental road projects in Africa, Trans-African Highway network encompass Kisangani through the Lagos-Mombasa Highway. Following the mandate of "5 Chantiers" the city of Kisangani road network undergoing redevelopment to make the city more integrated with towns and cities of other provinces, especially the eastern regions that previously made up the former Orientale Province. Boulevards in and around downtown Kisangani are part of the project. ^ "KISANGANI - Encyclopædia Universalis". Universalis.fr. Retrieved 1 March 2015. ^ ":CongoForum:". Congoforum.be. Retrieved 1 March 2015. ^ French, Howard W. (14 February 1997). "An Outpost Whose Futures Have Come and Gone". Zaire; Kisangani (Zaire): NYTimes.com. Retrieved 1 March 2015. ^ a b c d e f "Participation active à la reconstruction de la Ville de Kisangani/RDC". societecivile.cd. Archived from the original on 22 December 2013. Retrieved 1 March 2015. ^ "D.R. Congo: Arrest Laurent Nkunda For War Crimes | Human Rights Watch". Hrw.org. 2 February 2006. Retrieved 1 March 2015. ^ a b "Catalogue des thèses électroniques de l'ULB - Thèse ULBetd-02012008-181253". Theses.ulb.ac.be. 23 January 2008. Archived from the original on 18 February 2012. Retrieved 1 March 2015. ^ a b "Cercle Boyoma Culture". Cboc.e-monsite.com. 16 July 2009. Retrieved 1 March 2015. ^ "Kisangani, capitale de la RDC du 24 au 25 juin 2009, s'est parée pour accueillir la Conférence des gouverneurs de province · Site officiel de l'Hôtel de Ville de Kisangani". Hoteldevillekisangani.unblog.fr. 23 June 2009. Retrieved 1 March 2015. ^ "Loisirs". Stanleyville.be. Retrieved 1 March 2015. ^ "Hôtels". Stanleyville.be. Retrieved 1 March 2015. ^ "Monuments". Stanleyville.be. Retrieved 1 March 2015. ^ "Les sports". Stanleyville.be. Retrieved 1 March 2015. ^ a b French, Howard W. (14 February 1997). "An Outpost Whose Futures Have Come and Gone". Zaire; Kisangani (Zaire): NYTimes.com. Retrieved 1 March 2015. ^ "Foreign loggers are clearing up the second greatest forest in the world. John Vidal reports from Congo | World news". The Guardian. 22 September 2007. Retrieved 1 March 2015. ^ "Un Blog, des Blogs | Unblog.fr, Créer un blog gratuit". Tresorkh.unblog.fr. Archived from the original on 27 December 2009. Retrieved 2014-04-22. ^ a b "Université de Kisangani". SARUA. 16 June 2000. Retrieved 22 April 2014. ^ "Light may have slowed down - 15 August 2001". New Scientist. Retrieved 1 March 2015. ^ "DR Congo to cancel two-thirds of logging contracts due to corruption". News.mongabay.com. 8 October 2008. Archived from the original on 14 October 2008. Retrieved 22 April 2014. ^ "Géographie". Stanleyville.be. Retrieved 1 March 2015. ^ Zaire: Predicament and Prospects - Jean-Claude Willame, Hugues Leclercq, Peter Rosenblum, Catharine Newbury - Google Books. Books.google.com. Retrieved 1 March 2015. ^ (Source : CEDAF (Centre d'étude et de documentation africaines) – Cahier 5 Série 2 – Histoire – 1978 – "Histoire économique d'une ville coloniale : Kisangani 1877 – 1960" par Bogumil JEWSIECKI). (Source: CEDAW (Center for Study and Documentation of African) – Book 5 Series 2 – History – 1978 – "Economic History of a colonial city: Kisangani from 1877 to 1960" by Bogumil JEWSIECKI). ^ "Culte orthodoxe". Stanleyville.be. Retrieved 1 March 2015. ^ a b c "Accueil". Stanleyville.be. 22 February 2015. Retrieved 1 March 2015. ^ a b "Metropolitan Archdiocese of Kisangani, Congo-Kinshasa". Gcatholic.org. Retrieved 1 March 2015. ^ a b c "Biographie du Maire · Site officiel de l'Hôtel de Ville de Kisangani". Hoteldevillekisangani.unblog.fr. 22 January 2010. Retrieved 1 March 2015. ^ Parenti, Christian (4 October 2007). "The Fight to Save Congo's Forests". The Nation. Retrieved 14 April 2018. ^ "Université de Kisangani". SARUA. 16 June 2000. Retrieved 1 March 2015. ^ "Enseignement". Stanleyville.be. Retrieved 1 March 2015. ^ "Le fleuve". Stanleyville.be. Retrieved 1 March 2015. ^ "DR Congo National Road No. 2: Information from". Answers.com. Retrieved 1 March 2015. This page is based on the Wikipedia article Kisangani; it is used under the Creative Commons Attribution-ShareAlike 3.0 Unported License (CC-BY-SA). You may redistribute it, verbatim or modified, providing that you comply with the terms of the CC-BY-SA.